How hard can you shoot? 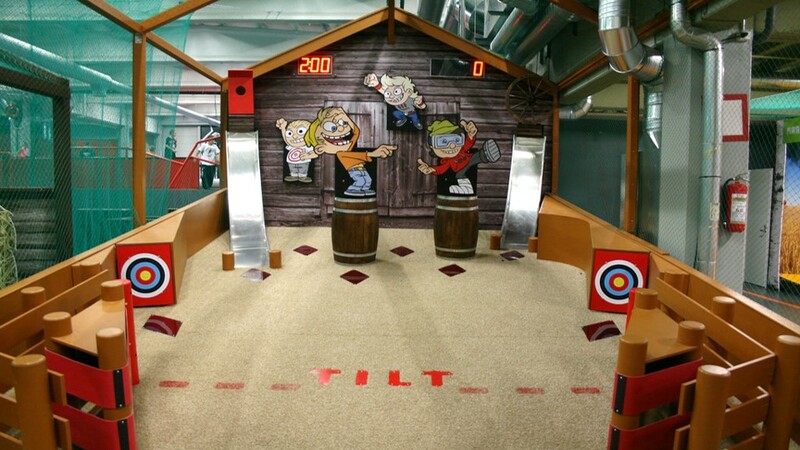 To win this game get your pack sliding as fast as possible towards the goal and scoreboard tells the speed of your shoot. 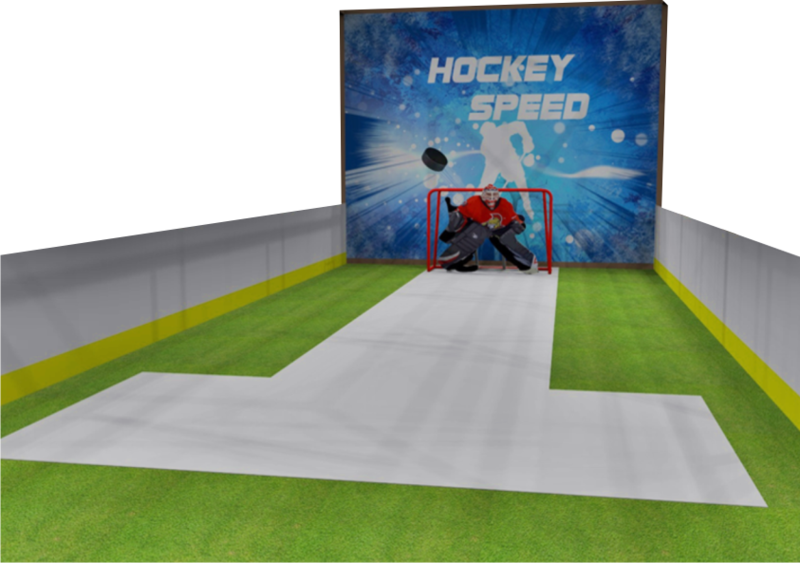 Wooden frame structures with sport mesh, plywood- and polyethylene hockey rink boards, polyethylene sheets and white artificial turf- flooring, plywood goalie, metallic goal.